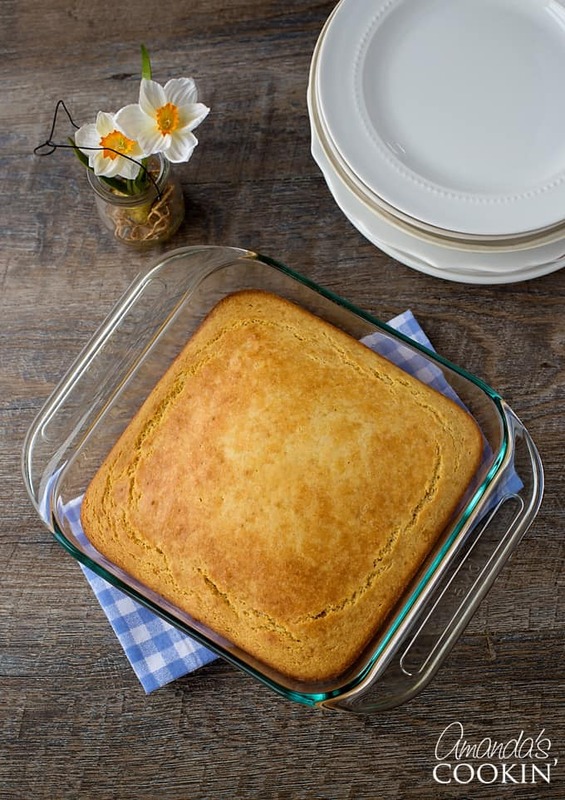 Sweet Cornbread: a tasty side to complete just about any comfort meal! 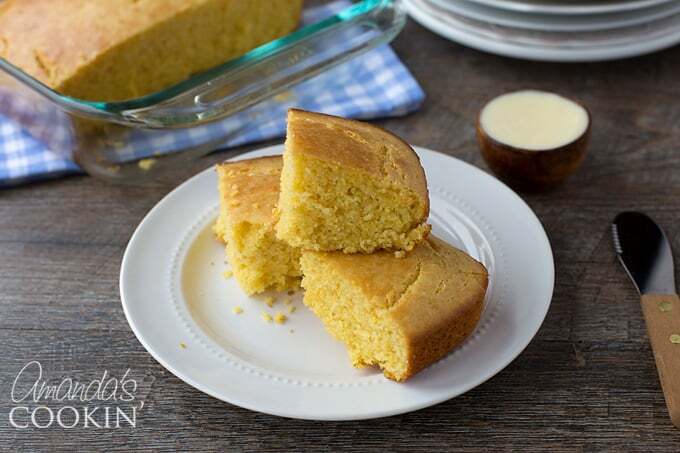 Out of love for all things bread grew this delicious sweet cornbread recipe! The flavor is just right, and pairs perfectly with a tasty bowl of Chili Mac. Comfort food at its finest here ladies and gentlemen, I give you Sweet Cornbread! Could this finally be the winner? I’ve been on the search for a sweet cornbread recipe that tastes similar, if not better, than the Jiffy cornbread mix you buy at the store. I grew up on Jiffy, and while it would be easy to just buy those boxes, I’m determined to find a “from scratch” sweet cornbread recipe that I like. This one fits the bill pretty well! Making chili with this sweet cornbread recipe? Try making it with this Homemade Chili Seasoning! In a large bowl, combine the flour, cornmeal, sugar, baking powder, baking soda and salt. 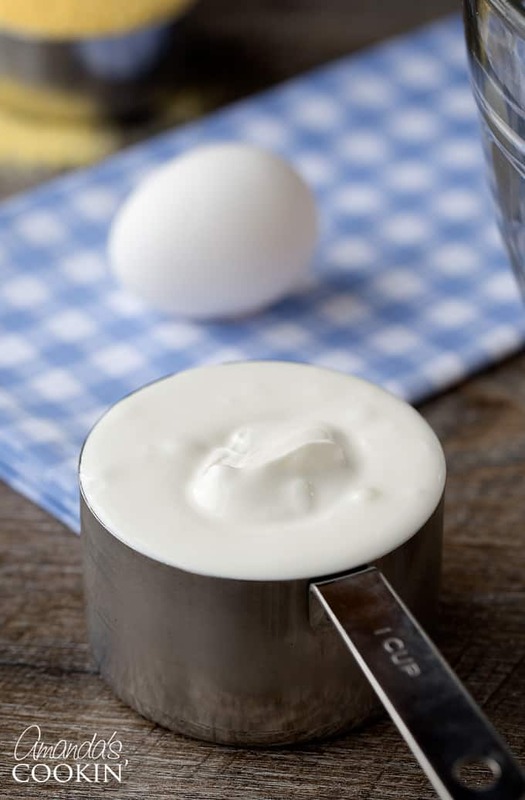 Combine the egg, sour cream, milk and butter; stir into dry ingredients just until moistened. Pour into a greased 8-in. square baking dish. Bake at 400 degrees F for 20-25 minutes or until a toothpick inserted near the center comes out clean. Serve warm. 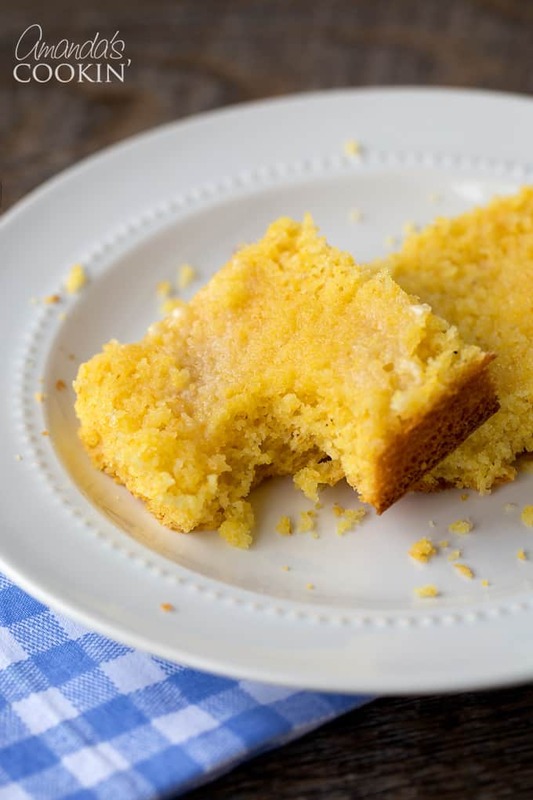 I hope you all enjoy this sweet cornbread recipe! Pair it with this 3 Bean Chili Recipe, or this Chicken Chili with Black Beans and Corn or use your leftovers to make these Chili and Cornbread-Stuffed Peppers, YUM! This post was originally published on this blog on Oct. 20, 2008. 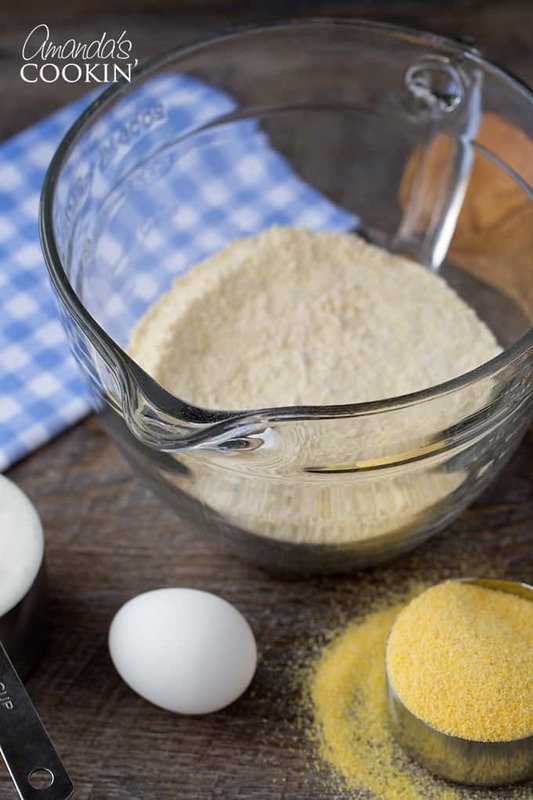 In a large bowl, combine the flour, cornmeal, sugar, baking powder, baking soda and salt. Combine the egg, sour cream, milk and butter; stir into dry ingredients just until moistened. Can I use something else than sour cream pls ? Are you looking for a dairy free alternative? Or can it have dairy? Hi Amanda, I’m in Aust and have some questions. 1. What are Graham Crackers, and do you know what the equivalent would be here in Aus? 2. The same with Miracle Whip, a freezer product? 3. Can you include a Celsius reading for your cooking as we haven’t used Imperial measurements here for centuries lol. Maybe just put it in brackets after you list the F temp? Your blog goes around the world, and pretty much all of us are in Centigrade. Absolutely love your sites, I’ve been reading them for a long time. I’m about to try your Lemon Lush recipe yummy! 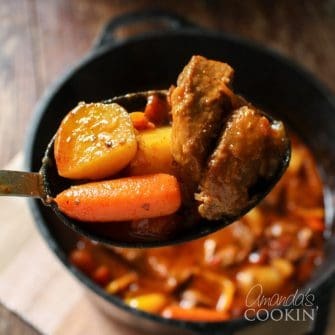 This will go great with the big batch of soup I was making tonight! Yum! It looks great! I’ll definitely try this recipe the next time that I make cornbread. I love cornbread with my chili. This looks tasty. I enjoy a good piece of cornbread. Especially with my soup! 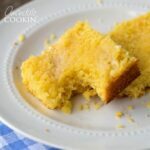 I love corn bread and this one looks great! Now you’re making me hungry for chili and cornbread!